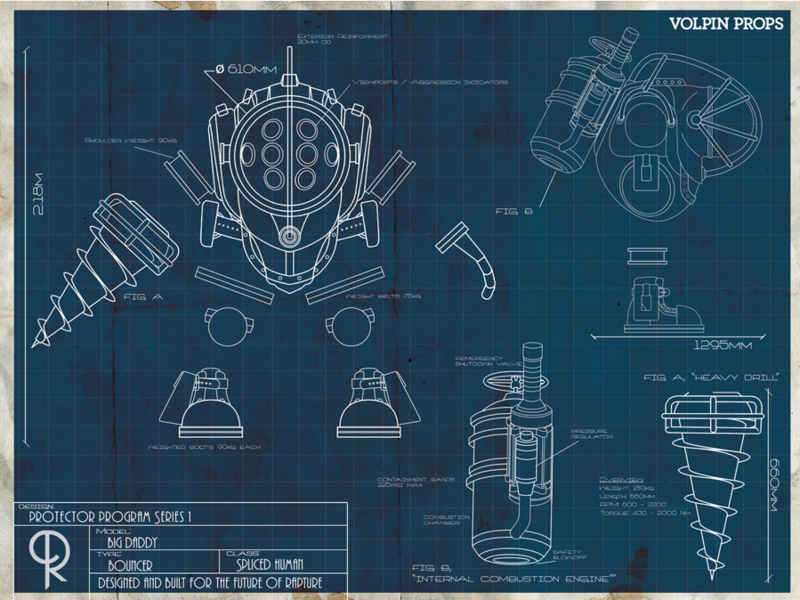 Based on the vector blueprints used in my Big Daddy project, these schematics emulate the plans one might happen across in the dystopian world of Rapture. For ultimate reality you should really get them damp and let some sort of sea coral grow on one corner of your frame, but I’ll make sure to ship them clean and dry and let you do the weathering if you so choose! The poster measures 24″x 18″ and is printed in high quality offset printing on engineering bond.